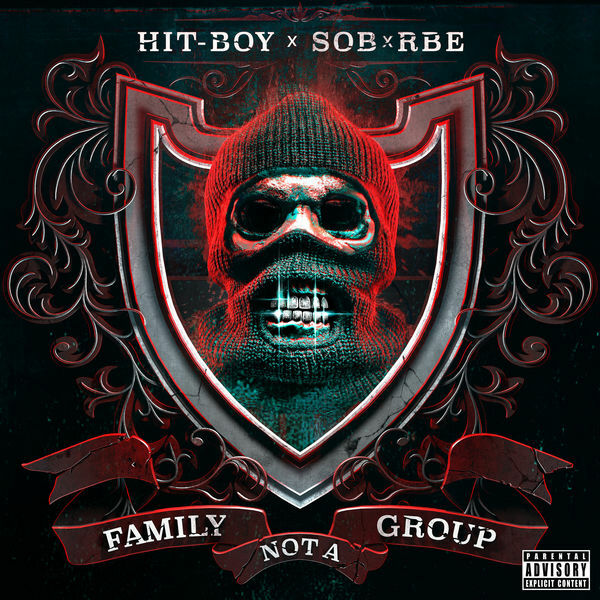 Hit-Boy & SOB x RBE‘s new project Family Not A Group is now available for download and streaming across all platforms. Hit-Boy revealed that he has a new label situation with Def Jam and the first release is this project with SOB x RBE. Family Not A Group comes with eight songs without a feature. The timing of this release is interesting, as Marshmello just released a three song EP with the group on Friday. Download or stream Family Not A Group below.